PARIS — Without any visible end products to justify its proponents’ ultra-low-energy promise, FD-SOI has struggled to overcome the skepticism of many engineers in the semiconductor industry. These skeptics keep asking: Where’s the beef? Is there a real product on the commercial market? What are its real benefits? Well, finally, now it’s official. And it’s a watch. Sony Corp.’s GPS chip — built on 28-nm Fully Depleted Silicon On Insulator (FD-SOI) process — is powering a smartwatch rolled out in China last month by Huami, Xiaomi’s sub-brand. Amazfit, priced at $120, features a host of activity-tracking sensors along with a Bluetooth 4.0 LE and Wi-Fi radios, GPS, a heart rate sensor, and NFC. Huami’s watch’s claim to being special, though, is longer battery life. According to the Chinese company, it can last about five days on a charge, or about 35 hours with the GPS sensor enabled. It’s a big win for Sony. This is an even bigger win for FD-SOI’s promoters. 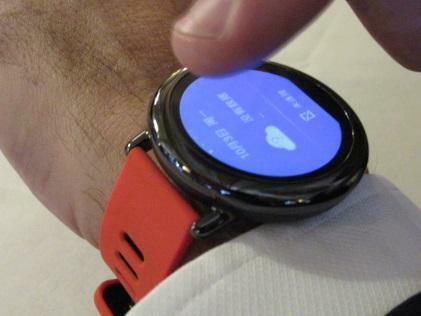 Huami’s watch decidedly demonstrates the technology’s claim to ultra-low power consumption. In contrast, the FD-SOI discussion this year has finally moved beyond theoretical process technology comparisons. This is now turning into a competition, in which technology choices are being “determined by products and applications,” he said. What tips the scale for FD-SOI is the value — genuine energy efficiency — it can bring to end products, he explained.